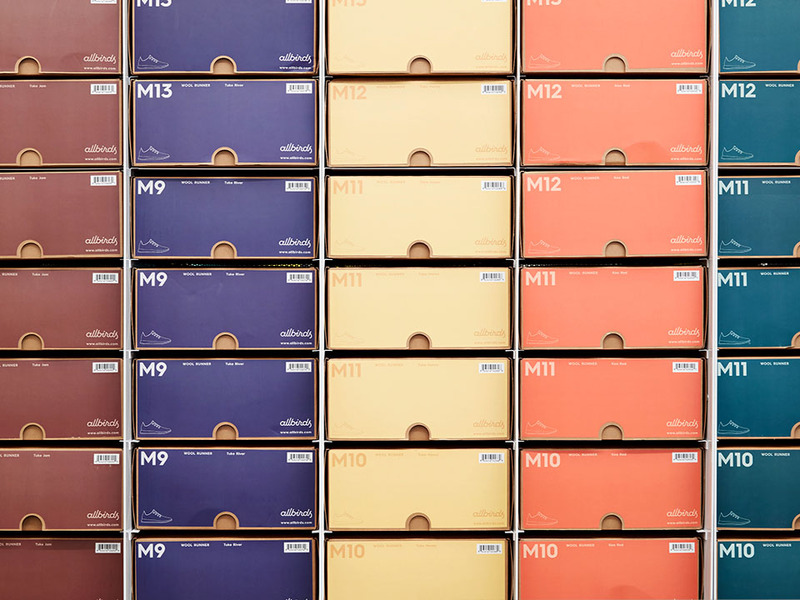 The Allbirds retail design system was created to be flexible, simple, and approachable. As a fast-growing startup, and a materials innovation company, we wanted to make sure the retail space could be adapted as our product line, visual merchandising, and brand storytelling grew. Featured below are images from the San Francisco and London stores. San Francisco is an example of our store design for a small shop. London is an example of how we iterate on our design for a pop-up space. 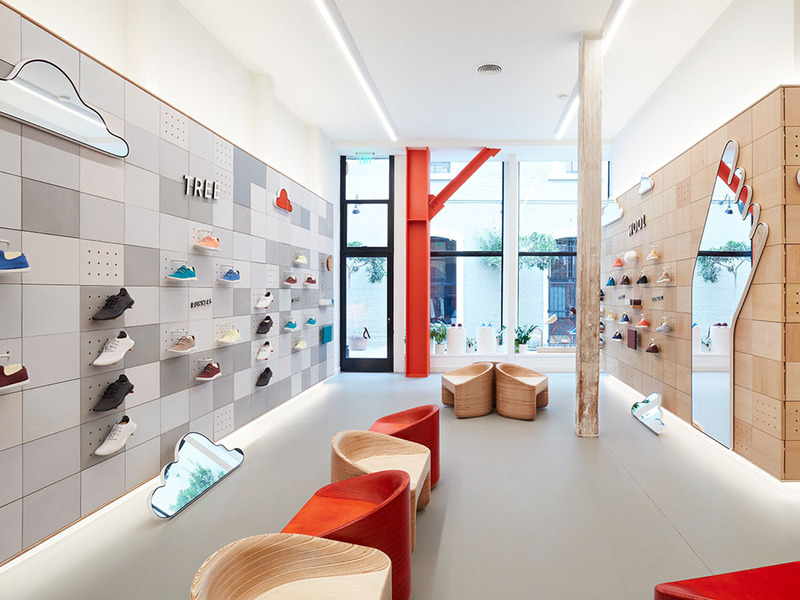 For each city, about 70% of the store build follows our retail design system, which allows the other 30% to focus on local customization through color, material, and storytelling moments.